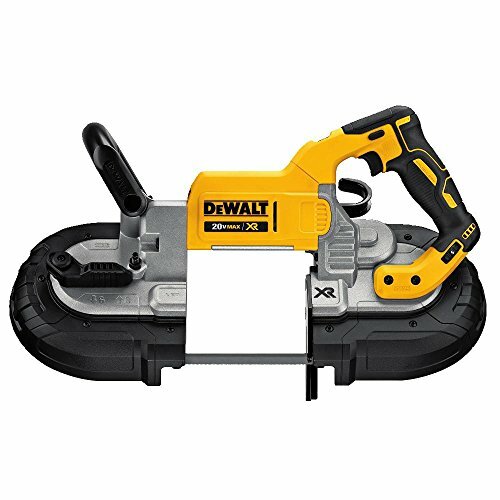 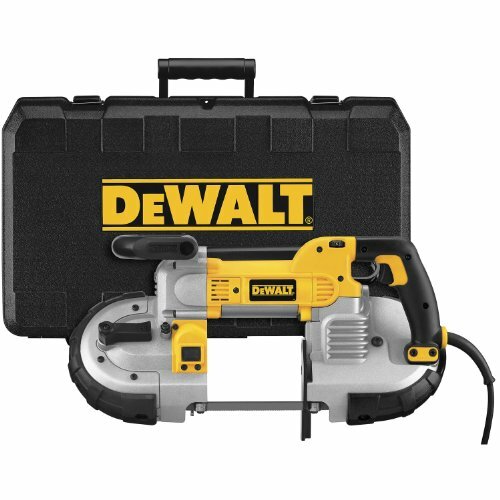 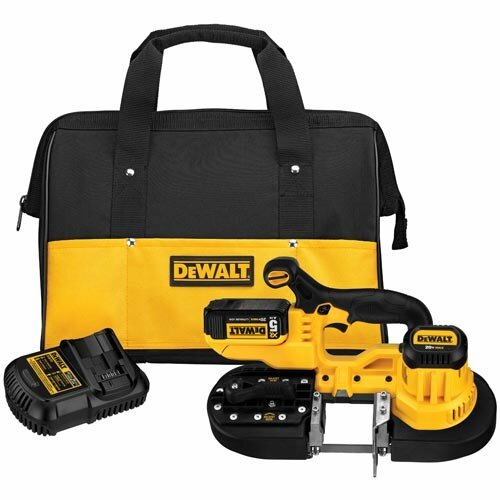 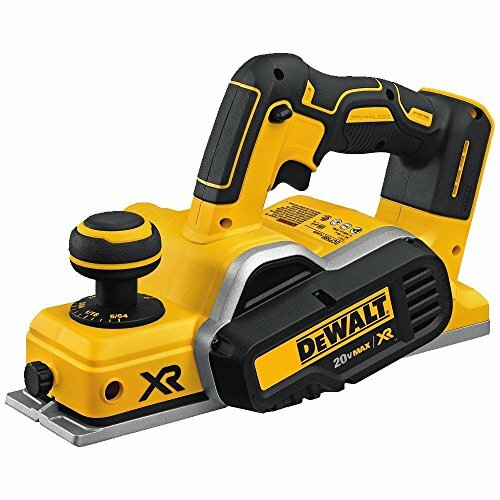 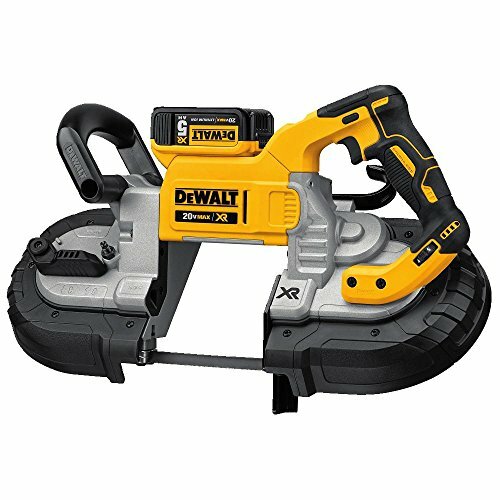 The DEWALT DCS374P2 20v Max XR Deep Cut Band Saw Kit features a 5'' x 4-3/4'' cut capacity to cut strut, pipe, angle iron, pipe and various other materials. 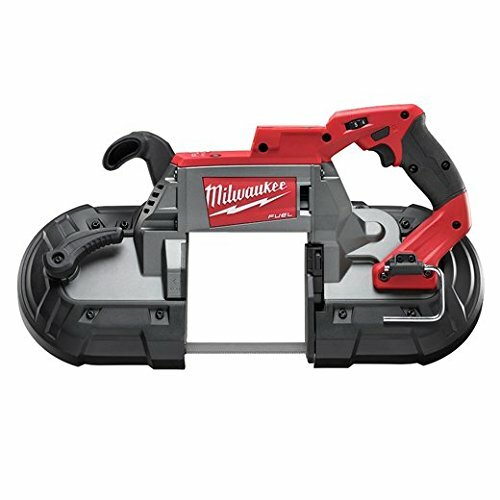 Cuts up to 4" SCH 40 pipe and double strut. 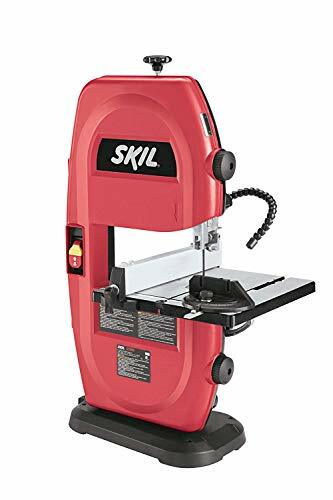 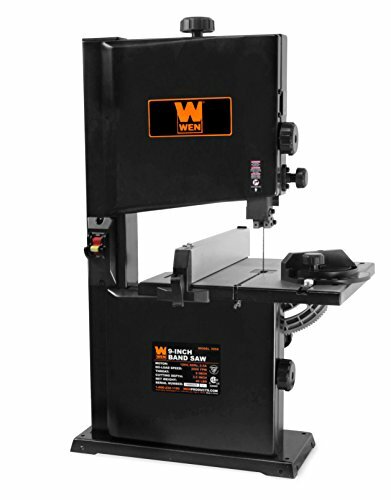 This band saw has an LED Work Light with a 20 second delay that illuminates dark work surfaces for accurate cutting, and offers variable speed trigger and dial allow for versatility and control. 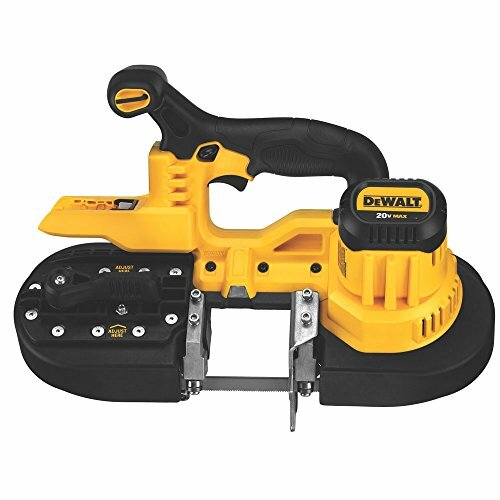 The DEWALT Deep Cut Band Saw is capable of up to 149 cuts of 1-5/8" Strut with 14 TPI blade. 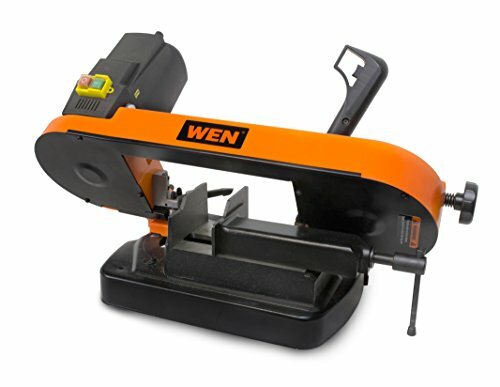 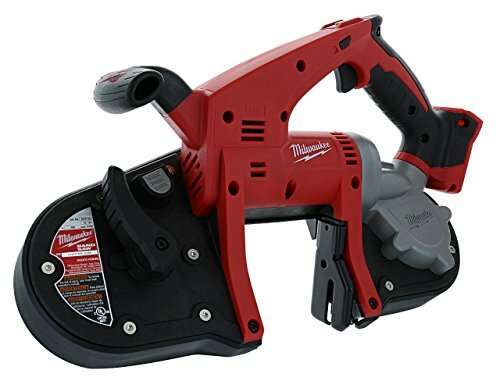 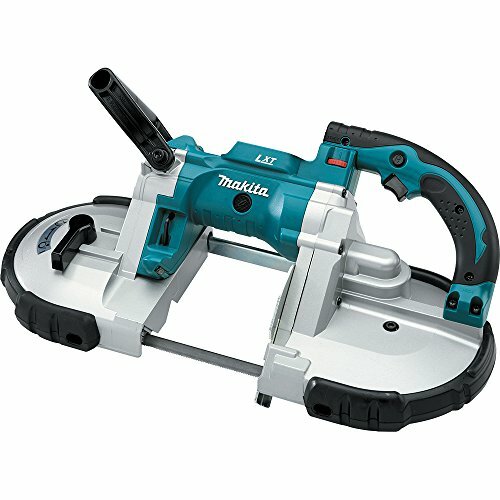 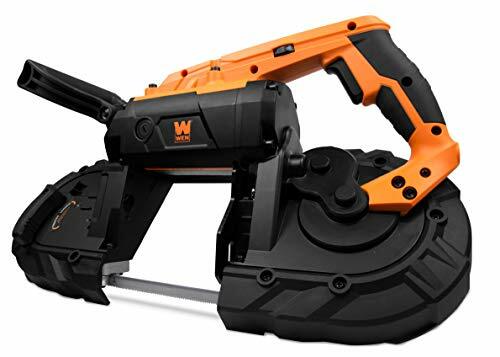 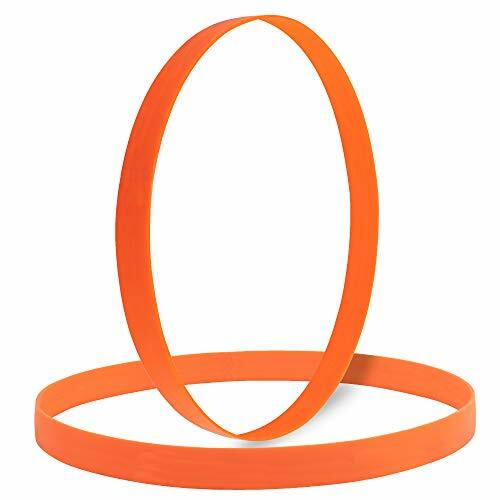 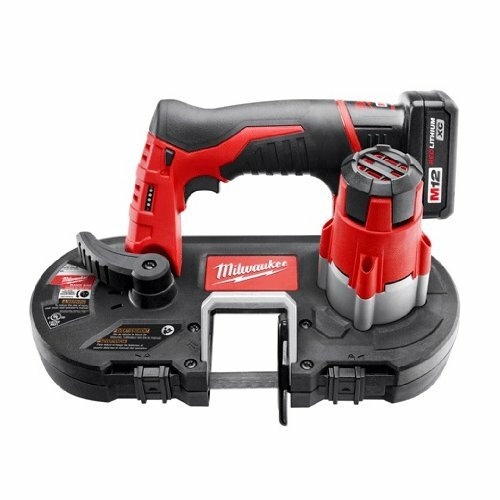 There is an integrated hang hook which allows user to hang the saw without damaging the front handle or base, and the tool-less blade changing lever loosens blade tension for easy blade changes. 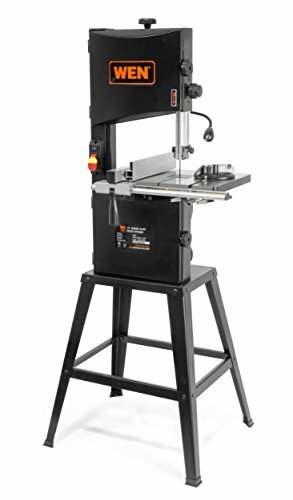 Includes: (1) DCS374 20V MAX Band Saw, (2) DCB205 20V MAX 5.0Ah batteries, (1) Charger, (1) Kit Box, (1) 18TPI Band Saw Blade.